"Your Remarkable Story" looks at unlikely people in the Bible that God used. 108 Christian Church Camp Rd. *Early Bird Pricing requires both the Registration Form & the Fee to be paid (online or postmarked) before the deadline date. Refund Policy: 100% prior to 1 week of camp, anytime after that is 50%. 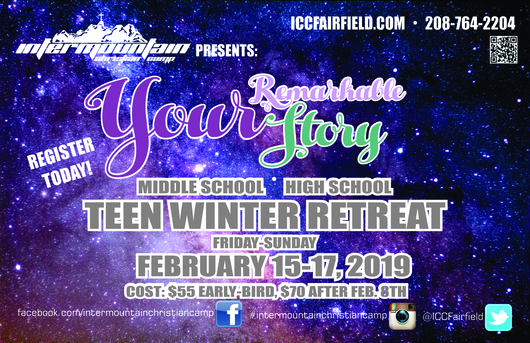 Join us for our Teen Winter Retreat. It will be located at the camp in Fairfield. Russell Grove, Professor of Christian Ed.at Boise Bible College along with a great team of Boise Bible College Students will be leading this retreat. We are excited about awesome lessons and lots of fun! 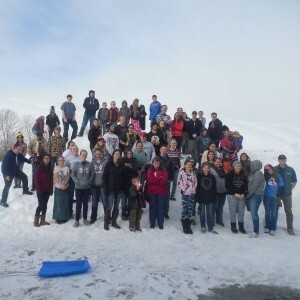 The Teen Winter Retreat is for 6-12 grade only and costs $70. This price covers your room and board, game supplies, and all food. However, you can save $15 with Early Form & Fee Registration by Feb. 8th. Warm WINTER CLOTHING is a must. Coat, hat, gloves, snow boots, etc. Appropriate Clothing for winter weather. 1. All attendees must follow the camp schedule unless excused by the Director(s). 2. No one is to leave the campgrounds without the permission of the Director(s). 3. The use of alcohol, tobacco, non-prescribed drugs and profanity is not permitted at any time. 4. Do not drive cars or motorcycles without the consent of Director(s). 5. Sickness and Injury must be reported to the Camp Nurse. At the time of arrival to camp, ALL medications are to be given to, and will be distributed by the Camp Nurse. 6. No radios, MP3 players, cell phones, iPods, tv's, handheld gaming devices, knives, guns, or pets are allowed at camp. 7. Must follow the Dress Code/Clothing Guide as defined below. 8. Food and drink are not permitted in the cabins. It may be kept in kitchen/snack shack. 9. Must show modesty when changing clothes or showering. 10. Proper restraint should be exercised in the display of affection. 11. Bullying of any type will not be tolerated. Clothing must have no inappropriate advertising. How do I get to Intermountain Christian Camp? 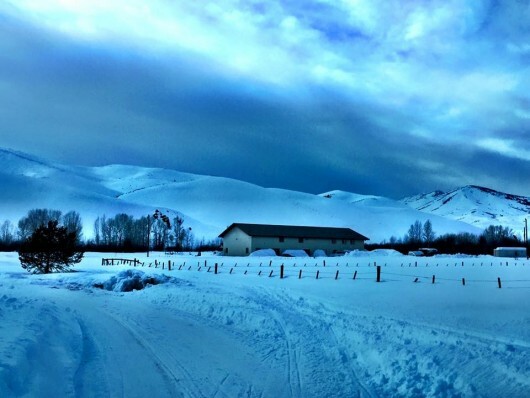 ICC is located at the base of beautiful Soldier Mountain, five and a half miles north of Fairfield, ID. From the North: Travel I-84 S to the Mountain Home exit 95, take highway Us-20 about 56 miles to Fairfield. From the south: Travel on I-84 W toward JEROME/BOISE, Take the ID-46 EXIT 157, toward WENDELL/GOODING, Turn RIGHT onto ID 46/S IDAHO ST. Continue to follow ID-46 about 45 miles, then Turn LEFT onto US-20, after about 4 miles you’ll see Fairfield on the right. When you arrive in Fairfield, turn north on Soldier Road (which is the paved road that goes through the business part of town). Go two miles to the stop sign, turn right, go about a quarter mile and turn left which puts you back on Soldier Road. (Please note: the speed limit on this road is 50 mph). Continue about 3 miles. You’ll see the sign over our driveway and flags flying on the left side of the road. What happens during an average day at ICC? At ICC, campers spend their time attending classes and other planned activities. 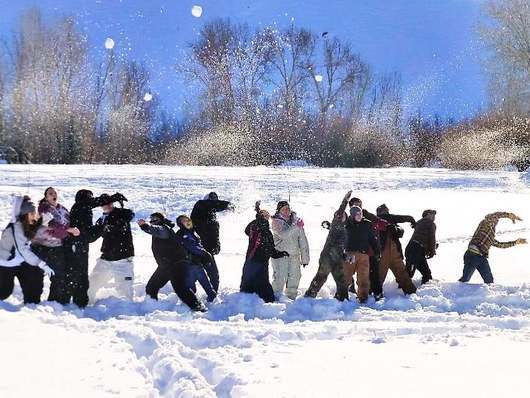 This includes organized group recreation and games. Also, many groups do service projects on site or off site depending on the age group. In addition, campers can expect to attend a main session lesson service, worship and music, fun evening activities, and possibly campfire (depending on weather). Campers are generally fed a snack in the evening after supper, however, we do have a “Snack Shack” that offers soda, sports drinks, and candy. We occasionally sell t-shirts (depending on availability and supply). This “Snack Shack” is optional and does require extra money. ICC encourages campers to give money to missions as well. Some camps/retreats require campers to turn in money at the beginning of the event and every time a camper purchases from the snack shack or direct the leader to donate to missions it is subtracted from their total. Please note: The camp will not be responsible for money any camper holds on to themselves. If you need to reach your child while they are at camp, please write to them or call the camp (208) 764-2204 . We will get the message to them ASAP. Please do not send cell phones to camp with your child, as these tend to be a distraction and a temptation to other campers. What do I need to know about Medical Insurance and Policies? Your family or individual health insurance policy is the primary coverage for accidents and injuries. A health officer will be on duty at the camp, and medical facilities are nearby. The health information on the Registration Form must be completed and signed by a parent or legal guardian before admission to the camp. All medications must be turned in to the camp health officer upon entering the camp and will be dispensed by the health officer. We encourage all students to attend with the age group they belong to, based on the grade they are going into. Exceptions will only be made by the Camp Director of these weeks on a case by case basis. Please contact the Camp Director at the numbers listed if you have more questions about this. Can I come and help at ICC? At each camp/retreat, we have a few open spots for adult and teen helpers. Teen Helpers are unpaid volunteers who come to serve God by serving others. Main responsibilities include: serving food, setting tables, washing dishes, serving snacks, game set-up, bathroom cleaning, team leaders and other tasks that the Camp Directors may assign. These positions are open on a first come, first serve basis, at the discretion of the Camp Director. Camp Directors are always in search of adult help as well. If you are interested in serving at camp please contact the Camp Director for the time you want to volunteer. ICC is owned by partnering Christian Churches in Idaho, Utah, and Oregon. It is led by the camp board, which is composed of ministers and church members from the local churches throughout the camp area. You can find the list of Camp Board member on our staff page. If you have questions about the camp, please feel free to contact the Camp Manager, Chris Fredrickson at (208) 764-2204. Can I pay for camp online? Yes! We are now able to accept online payments. We accept debit or credit: Visa or MasterCard. To pay online, visit the home page. As always, if you would like to pay with a check please talk with your church, as some churches send one check for the whole group. What is the ministry purpose of ICC? 1.To provide a positive camp experience where Christ is lifted as Savior & Lord. 2.To install biblical truth and principles into the lives of our youth through a curriculum centered in the Word of God. 3.To create opportunities where decisions for Christ are made and/or strengthened. You can find more information on our Beliefs & History Page.